1000 Performance Rating, MERV 11.0 Rating. Up to 30.0 times more effective at capturing micro particles than ordinary fiberglass filters. Meets the American Lung Association's Health House Project indoor air quality guidelines. 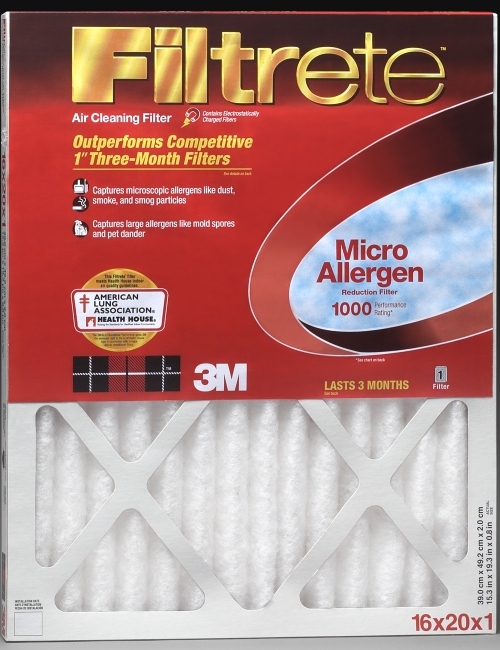 Outperforms all competitors' 3 month, 1" filters. Airborne micro particles, including smoke. Airborne allergens, including pollen, pet dander, mold and bacteria. Large particles like dust and lint.